The euro has fallen against the dollar and other majors at the end of the last week. The statistics plans to announce the October Germany manufacturing sector orders dynamics, the forecasts expect growth by 0.5% m/m after the previous 0.8% m/m. We are interested as well in the second euro area GDP assessment for the third quarter – the changes of the initial results that showed + 0.2% q/q and 0.8% y/y. Any action from the European Central Bank part absence has led to the short positions profit taking as a result the pair has grown up to 1.2455. 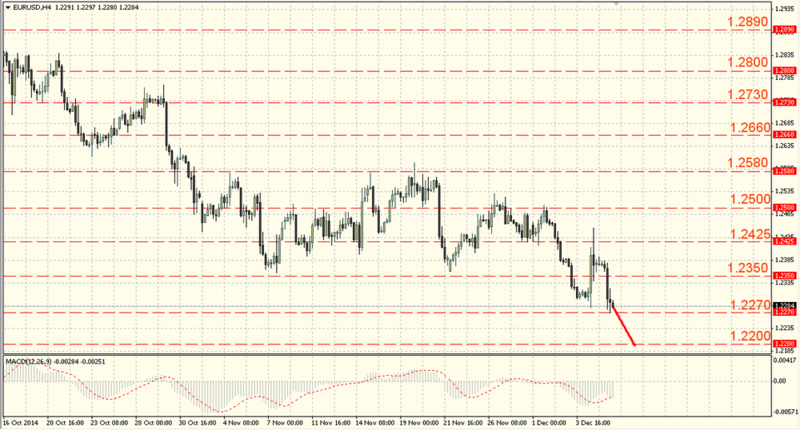 After testing this level the pair rebounded to 1.2330-1.2350 where it was able to find a support. 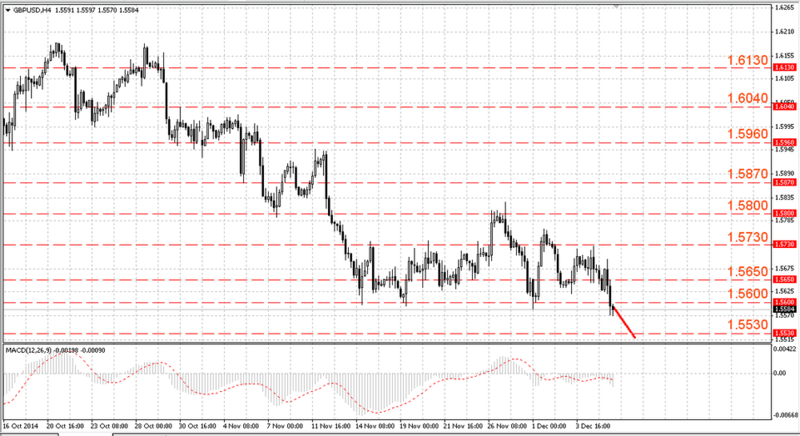 This support level was broken down and the pair decreased to the level of 1.2250-1.2270. The pair needs to rise up and consolidate above the 25th figure at least to improve its perspectives. The US labor market data can contribute to it if they are significantly lower than the forecasts and the previous value. For a while the pair GBP/USD showed mixed fluctuations within the narrow range and finished the week with a decrease. The Halifax report noted that the UK housing market continued to slow in November, the home prices from September to November increased by 0.7% compared with a growth by 0.9% in the previous three-months period. All the pair growth attempts are unsuccessful and continue to attract interest for buying. The pound repeatedly rebounded from the support near 1.5630-1.5650 and rose to the resistance around 1.5730-1.5750, but then the pair decreased and broke the resistance levels of 1.5630-1.5650 and 1.5580-1.5600. 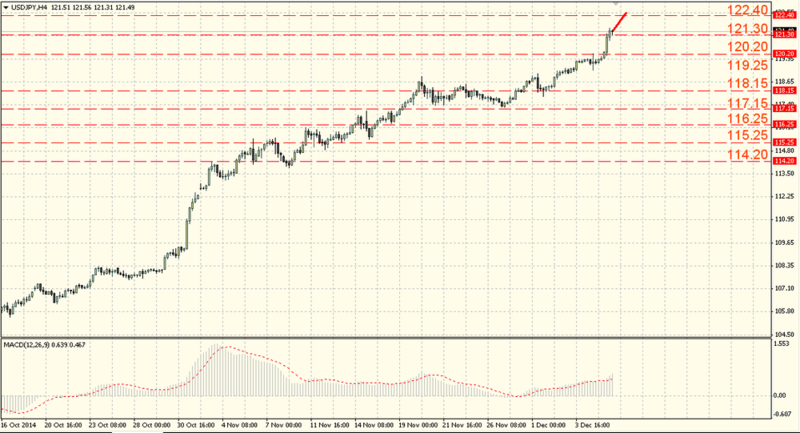 The support levels are 1.5510-1.5530, and the resistance levels are 1.5600 – 1.5620. The risks of support and lows breakthrough are increasing that will strengthen the downward pressure. The weak US employment and unemployment data can only weaken it, before the data release it is better to be out of the market. The Japanese yen attempts to continue its weakening had success during which the pair broke the mark of 120.00-120.20. The yen resumed its decline against the US dollar amid the Japanese stock market optimism where the Nikkei index rose up by0.2%. The main driver for the tool will be the US employment data. The pair dollar/yen was moving towards different directions during the last week. The bulls broke the psychological level of 120.00. The pair continued its growth and rose above the new local maximum at 121.10-121.30. The support levels: 121.10-121.30, and the resistance levels: 122.40-122.60. In case of the confident breakthrough of 121.10-121.30 we can expect the pair growth towards 124.20-124.60 in the long term, but we should also mention about the overbought that can hamper its progress above.